The ARM Mali-T760 MP8 is a fast mobile graphics solution that can be found in ARM SoCs like the Samsung Exynos 7420 Octa (Galaxy S6). The chip is available since Q1/2015 and is one of the fastest solutions of its class at the time of the introduction. Besides OpenGL ES 3.1, the GPU supports OpenCL 1.1 as well as DirectX 11. 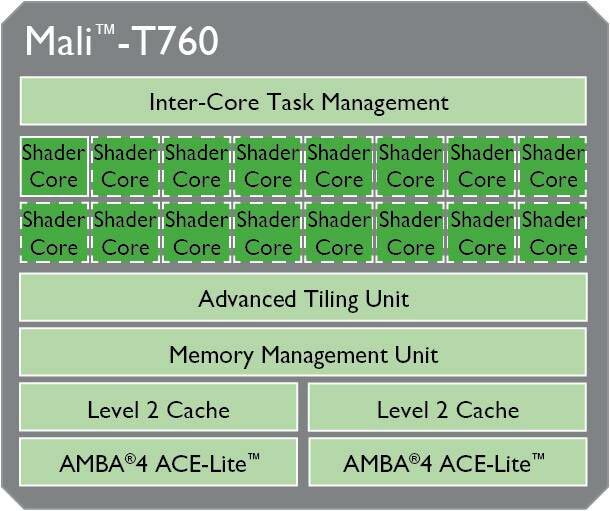 According to ARM, the Mali-T760 can be scaled from 1 - 16 cores/clusters. The MP8 version offers 8 clusters clocked at up to 772 MHz (302 GFLOPS). 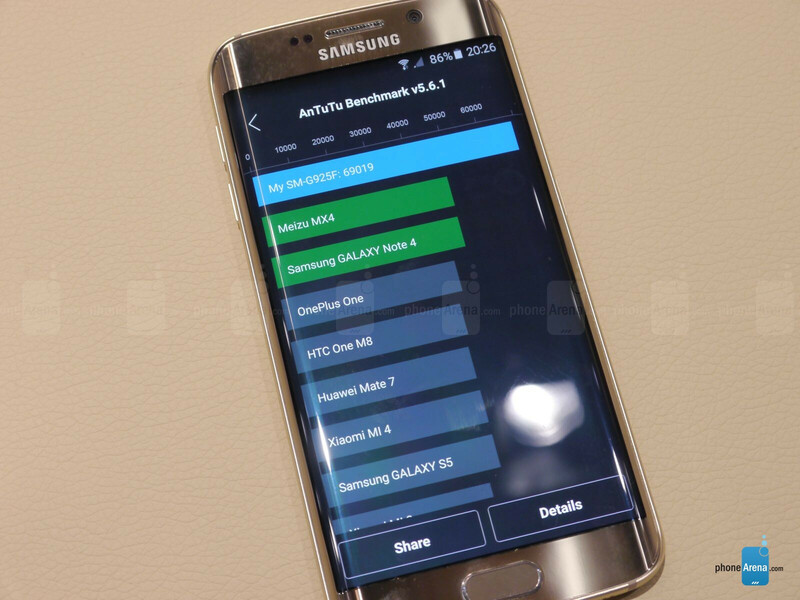 In most benchmarks, the GPU is able to beat the competing Adreno 420 (Snapdragon 805) and PowerVR GX6450 (Apple A8). Only a few tablet chips like Tegra K1/X1 or the GXA6850 (Apple A8X) are still somewhat faster. Overall, the Mali-T760 MP8 is the fastest smartphone GPU in early 2015 and will handle even the most demanding Android games fluently in high resolutions. Despite its impressive performance, the Mali-T760 MP8 / Exynos 7420 has a very modest power consumption thanks to an advanced 14 nm FinFET process (Samsung LPE). Therefore, it can be used even in smaller smartphones.